Home Automation, Remote Control, Lighting Control, Whole Home Audio/Video IR Distribution, Surveillance, Security. 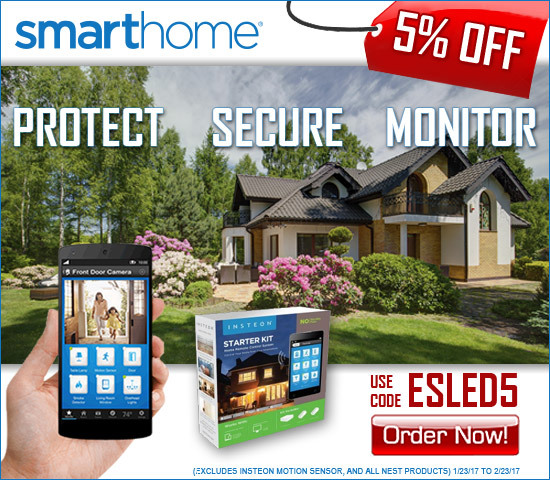 YourSmart home equipment. Affordable Home Automation That Works Insteon is the best-selling, most-reliable home control and automation technology. With over 200 devices to choose from, Insteon adds remote control and automation to lighting, appliance and home control applications of all types, allowing you to manage your home the way you want. Easy to install and setup, the more devices you add the stronger your Insteon network becomes. Insteon offers the flexibility and dependability to make your life more convenient, safe and fun. Follow these links for additional details and customer testimonials. Visit our SOLUTION CENTER for cool project ideas and helpful tips. Home Control Hub If you use a smartphone, you already know how to use Insteon. With the Insteon Hub, controlling and configuring Insteon home automation devices is quick, easy and fun. Hub setup takes a couple of minutes and a few moments per light switch, sensor, etc. - all you need to do is connect it to power and your home's internet router. With the new HomeKit-enabled Insteon Hub Pro, you can control Insteon devices and HomeKit devices side by side. Manage your home with rooms and zones, create scenes and even control everything with Siri. Simply put, your smartphone communicates to your Hub from anywhere, and your Hub communicates with Insteon devices throughout your home. If you are just getting started, consider using an Insteon Starter Kit, which includes a Hub and some of the Insteon most popular product combinations to get you up and running with Insteon home control in no time at all.